The Challenge: To throw an awesome Gender Reveal Party to reveal the gender of our second child. My Inspiration: Pinterest people who throw amazing parties to incite shock and awe amongst their families. The Concept: Distinct Sides- Pink and Blue, our guests make their prediction. Who is NOT Helping Me: Time, I felt like I didn’t have enough of it! They could also nosh on some yummy treats. This is white chocolate puppy chow. Yeah, so I guess the Cheerios Treats were a little heavy and they embarrassingly collapsed about 20 minutes into the party. It didn’t stop anyone from eating them, thankfully! I also created two quiz games to play with our family to distract them while we got the reveal ready and while we waited for the food. 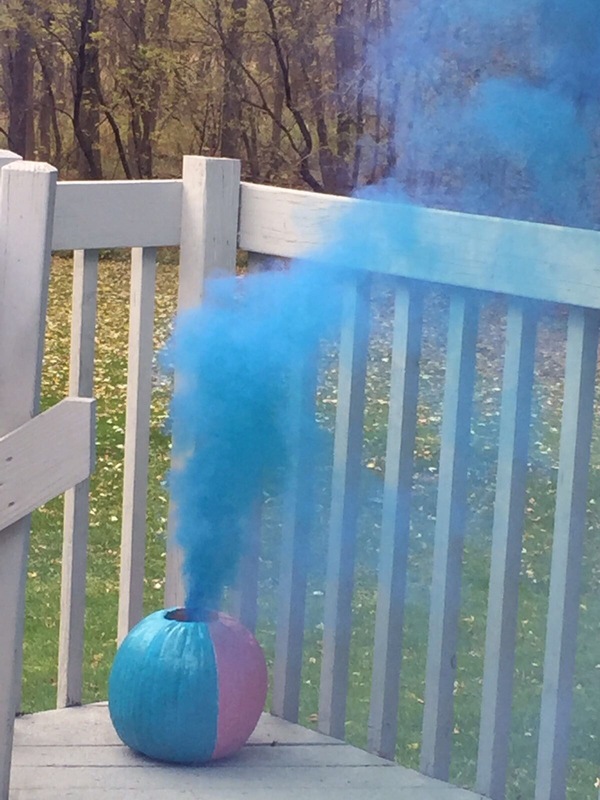 I bought gender reveal specific smoke bombs on Amazon. 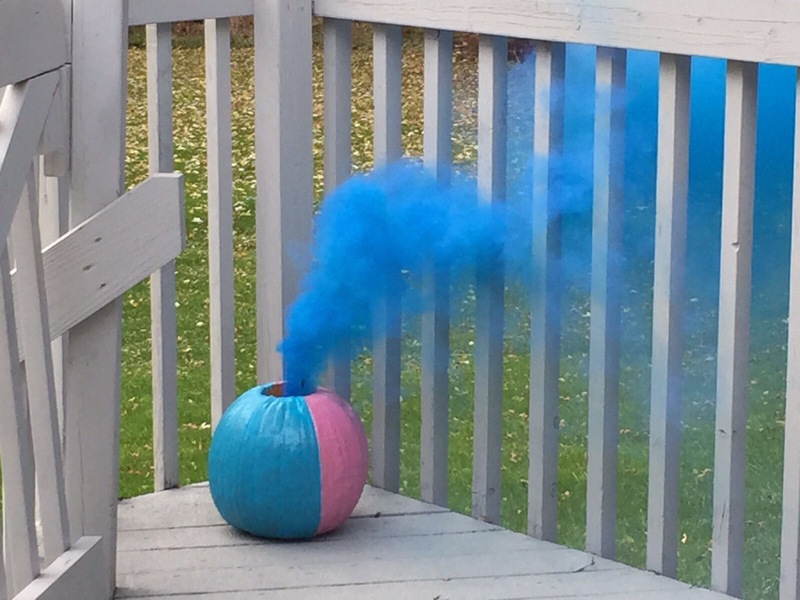 Since it was a few days before Halloween, I hollowed out a large pumpkin and painted it half pink and half blue and placed the appropriate colored smoke bomb inside. The pumpkin served as a centerpiece until it was time for the reveal. We took the pumpkin and our family outside and lit off the bomb! 25 Gender Reveal Party Ideas - C.R.A.F.T. Where did you buy the smoke bomb ? I just reposted the link! It was broken for some reason.. I loved these smoke bombs because they came with two bombs each so just in case one of the bombs was a dud, we’d have a back-up! What kind of paint did you use on the pumpkin?